The daughter of Mei and Chan T'su, Lian was born in the city of Hong Kong on Earth in 2342. She eventually went on to follow in her father's footsteps and entered Starfleet Academy in 2360, finally graduating in the 99th percentile, and third in her class in 2364. One of the contributing factors to her high marks, was the year she spent as a student instructor where she taught geophysics and natural complexity theory. 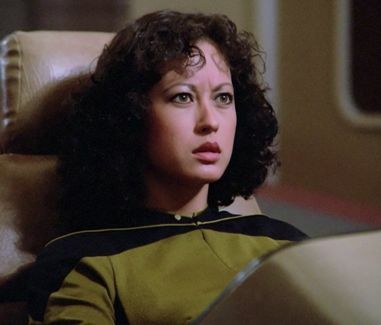 Following her graduation, Ensign T'Su was assigned to the USS Enterprise-D as a relief operations manager.